The G/L Module provides an easy to maintain chart of accounts that reflects the accounting and information needs unique to your business. 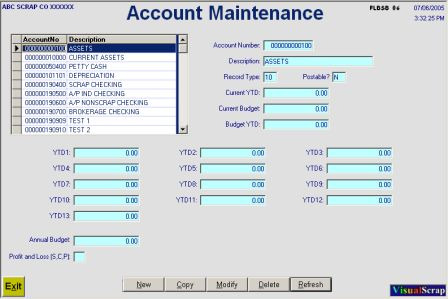 General Ledger accounts include monthly history for the last twelve months. This information is used to produce a complete set of financial reports. These include all journals, detail Chart of Accounts, G/L Account History, Balance Sheet, Profit and Loss Statement, and G/L Account Analysis. Financial reports include this year and last year information for comparative analysis.